We had a batch of Tees printed up for the Steel City DH and have got a few leftovers now for sale in our online shop. 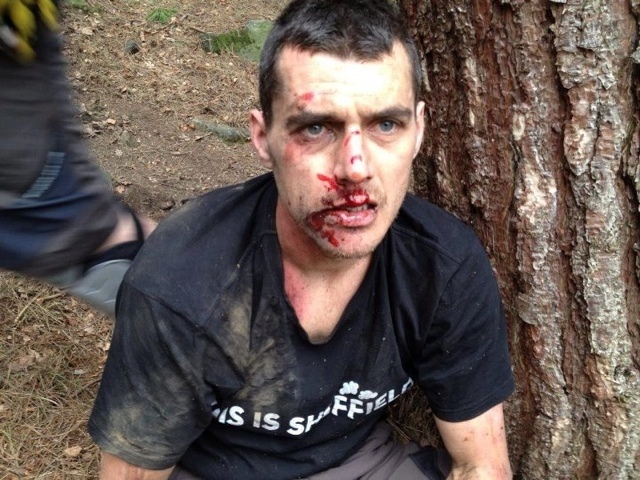 Modelled here by Faceplant specialist Chay Granby they offer no body armour type protection but do look very Rad. Click on Chay’s pic to get yours. Update: 8-5-2012 – Tees Selling very well, nearly sold out in all sizes. Not to put you off but there seems to be a trend in those wearing TiS Tees and ending up in hospital. Its not the Tees, just the radness within as Luc Albert demonstrates.